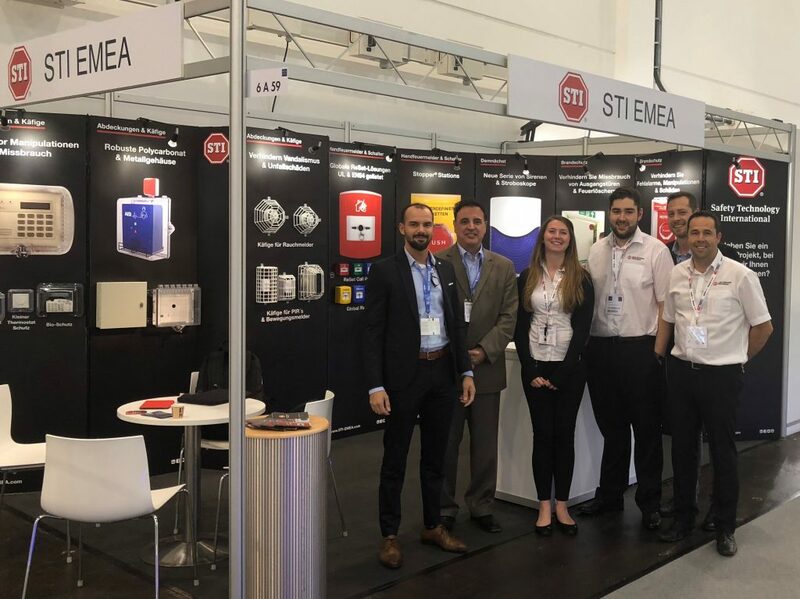 Returning to Germany for the first time since 2016, the STI exhibition team enjoyed a great week at Security Essen showcasing our innovative range fire safety and security products. It was fantastic to speak with our customers in Europe and around the world – meeting with familiar faces and demonstrating our products to many new faces. 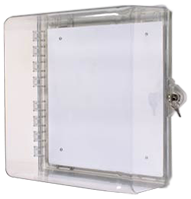 STI were pleased to exhibit the Global ReSet Series in Germany; a resettable call point that simulates break glass activation without broken glass, a versatile mounting plate fits to UK, European, US, double-gang and single-gang mounting box. Red models are UL certified. Travelling from our US headquarters in Waterford, Michigan, to attend the show Company Present John Taylor says the Global ReSet is a worldwide product. He said: “We’ve been manufacturing call points for many years now and I thought; why can’t we have a break glass for North America? That’s the reason we produced the Global ReSet. “We then went to UL and we asked them if we can get this approved – it was unexpected but what we actually got was UL 38 for indoor and outdoor use. When the Global ReSet is activated an indicator will drop into view, simply reset the call point with the provided key for immediate re-use. He added:”Our standard call points that we sell to the European markets have addressable capabilities, the module that we use in the European models will also work with the Global ReSet.